Happy Friday babes! We made it through another week. I can't believe how fast this year is flying by. 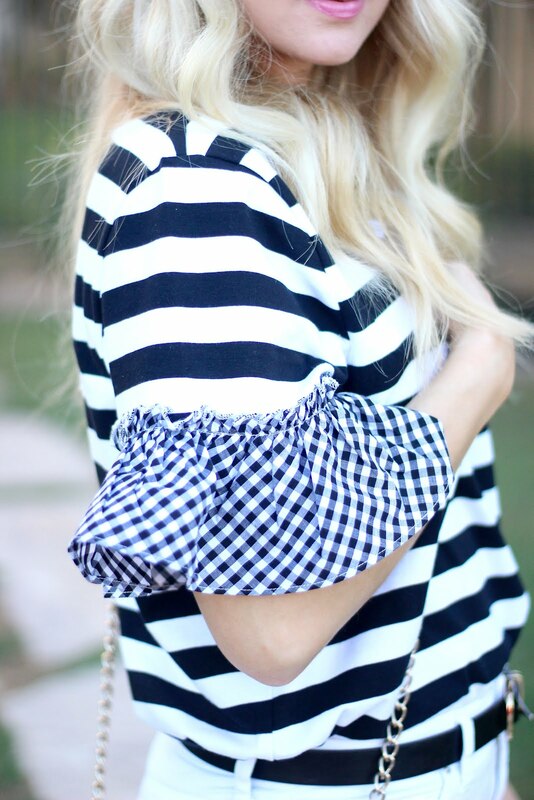 You all know by now my love for anything gingham. But when it is combined with stripes...YES PLEASE! This She In top is the perfect little tee. If your like me, I love to be casual and laid back, especially when running errands in 115 degrees. But, I also love to feel like I look cute. This is a tee that can be paired with shorts, and would even look darling with a black or white skirt. And the best part... IT IS $13!!!! And right now there is FREE SHIPPING with no minimum purchase. Seriously, the cutest $13 you will ever spend. Hope everyone has a wonderful and fun weekend!